Nearly any property, new build or retrofit, can benefit from renewable technologies. Whilst the majority of properties can enjoy some type of renewable solution, there are a handful of important considerations to ensure that the system installed is efficient and worth the initial investment. How old is the property and how well is it insulated?Insulation is extremely important when installing a heat pump as they operate at their most efficient when producing lower flow temperatures. The more insulation you have, the less heat that is lost. If your property is a new build (built in the last 10 years), the insulation should be up to current Building Regulations, meaning it ought to be suitable for a heat pump. 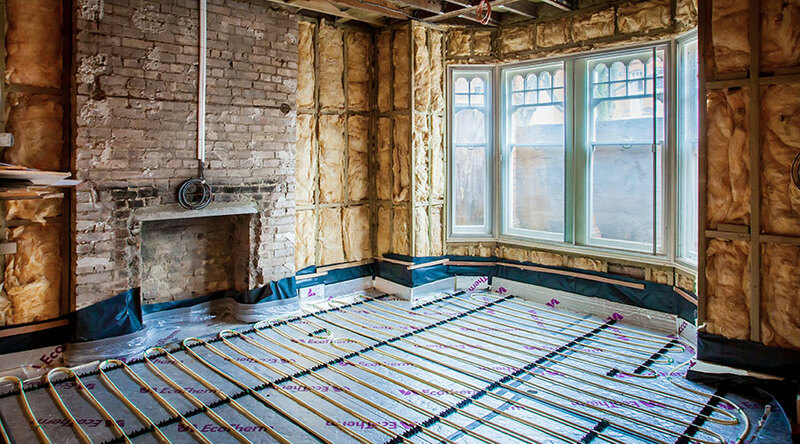 If you are renovating it is essential that the insulation levels are being brought up to Part L1B standards in order for the heat pump to be efficient. In this scenario, you will need to consider the costs of insulating your property versus the benefit of installing a heat pump. Does the property have access to mains gas?Heat pumps are ideally suited to properties without access to main gas as you’re likely to see a greater return on investment when compared to electric and the fluctuating prices cost of oil and LPG fossil fuels.A heat pump is still be a viable eco-friendly solution for a new build property that is on the gas grid, as the high levels of insulation mean that the heat pump will operate very efficiently. Does the site have plenty of free land?When it comes to choosing a heat pump, the site plays a big part in the type of unit required.A GSHP requires free, accessible land that is approximately 3 times the total floor area of the property to accommodate the ground loops. There is also the option of digging boreholes, although this is considerably more expensive. If space is not available, an ASHP is a good, cost-effective alternative. 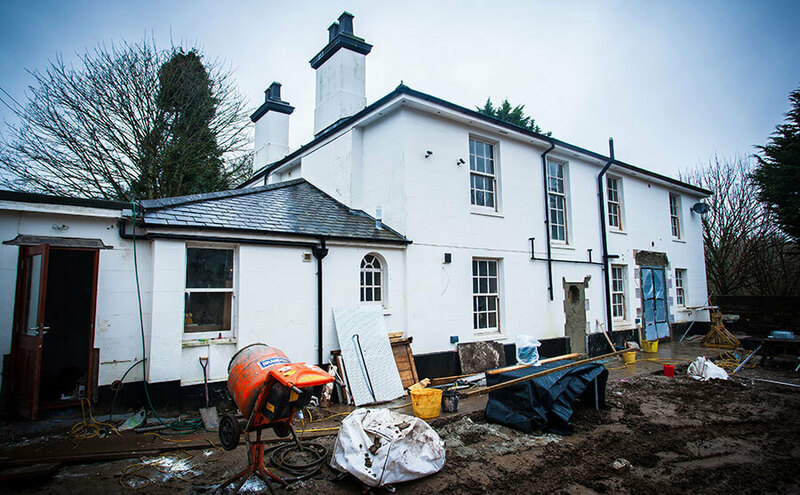 Will the property require planning permission?It’s important to check if your property requires planning permission before installing an ASHP.There is varying criteria for different Planning Authorities, so it is best to obtain clarification on planning permission. The main consideration is around the heat pump’s proximity to neighbouring properties and also the noise levels emitted. 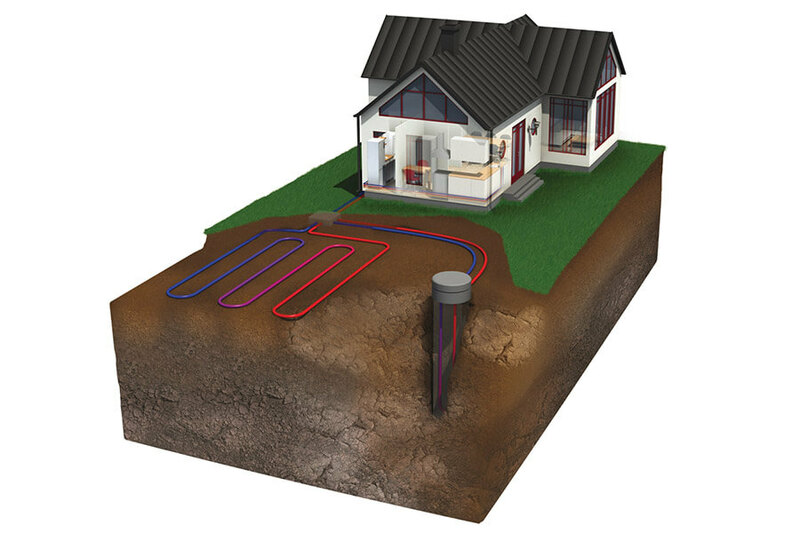 The majority of installations will fall under permitted development and one of the checks for this is that the heat pump is sited more than 1 metre from the edge of the property’s boundary (3 metres in Wales). Solar is also covered by permitted development rights, however you must check with planning if you are in an AONB, a Conservation Area or if the building is listed. As a GSHP unit is situated inside the property, planning is not required. Electricity supplyMost heat pump installations should only require a standard single-phase electricity supply.For larger properties, usually over 330m2, where a heat pump over 12kW will be specified, it is likely that a three-phase supply will be required. You would need to contact your electricity supplier for more information. One of the big appeals of a renewables system is that the installation cost can be offset by applying for the Government’s Renewable Heat Incentive. In order to qualify for the scheme the system must meet strict design and installation criteria, something that Nu-Heat can help you and your installer with. Find out more about whether a heat pump is right for your project by watching ‘Everything you need to know about heat pumps‘. You can also visit use our Heat Pump Selector Tool or call 01404 5440650 to speak with an expert. 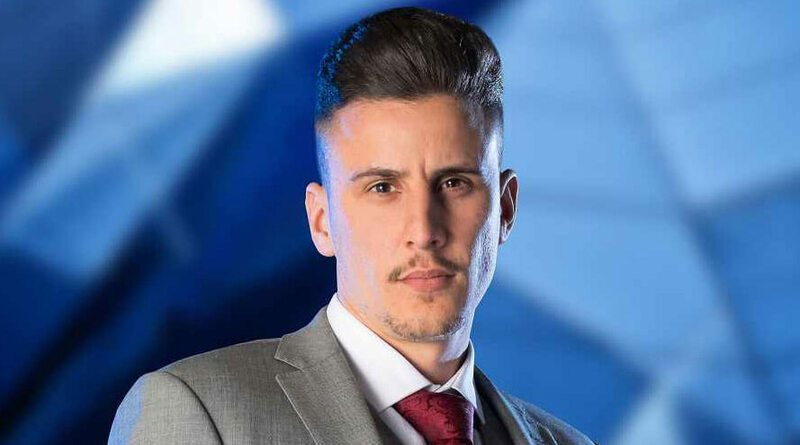 This year’s The Apprentice winner, Joseph Valente, is a young plumber who set out with a vision of expanding his business into the renewables market. He showed drive and passion for our industry but was advised to steer clear of renewables by experts, instead focusing on smart technologies. We can’t help but wonder, why? “There has never been a better time to start installing renewable technologies. This is in part due to the confirmation that the RHI will continue until at least 2021, acting as a huge financial incentive for homeowners to consider an alternative, more environmentally-friendly way to heat their home.